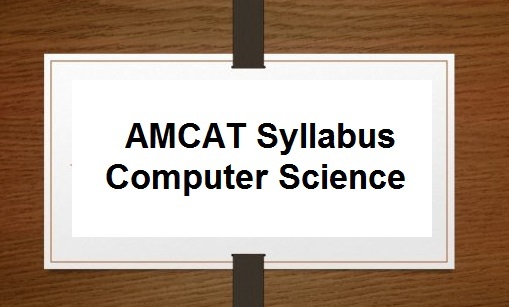 AMCAT Syllabus for CSE 2019 and exam pattern pdf – All the computer science graduates or pursuing degree in CSE branch should know detailed syllabus of AMCAT for computer science branch. Here in this article, you will get B.Tech (C.S /C.E) and BCA – Computer Science module details about understanding of the subject, its sample papers and the type of questions you may likely face on the piece. 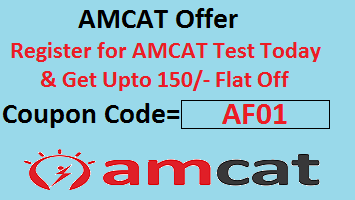 If you are computer science guy and looking to take amcat exam then avail this amcat 2019 coupon code to get 100 flat off. The AMCAT Computer Science module is present in both the general AMCAT test and the Engineering AMCAT test module (here too in both Computer Science and Computer Programming module). As companies are looking more of IT oriented candidates, hence, It is recommended to B.Tech (Engineering students from CS. CE and to those from BCA/BCM/B.Sc. (IT), B.Sc., M.Tech./M.E., MCA/PGDCA, M.Sc. and PG Diploma in Computer Science. Now lets explore the syllabus of all the AMCAT CSE tests. This is very basic module and difficulty level varies from basic to entry-level computer programming ability. The AMCAT Computer Programming module is a 35-minute, 25 question paper to test your exposure to concepts in the field. You may click on individual topic link to practice amcat sample paper. Technical Support Executive, Computer Engineer, Software Developer Web, System s/w, Product, Trainee, Testing Engineer, Research Engineer, Content Developer-IT and IT Recruiter. This test access your understanding of theoretical concepts, without actual coding. Similar to the non-tech computer programming module, students attempting this paper will also get a 25 question, 35-minute test to showcase skill. This is most advances section of computer science exam. Total 26-question you need to attempt in 25 minutes. Score of this module is highly in demand hence below are the freshers jobs which you are likely to get after this exam. Job you can apply -> Software Developers, Database Administrator and Network Engineers. Thanks for reading AMCAT Syllabus for CSE & Exam Pattern 2019 please comment if you have any questions.